Is God Leading You To East Africa? 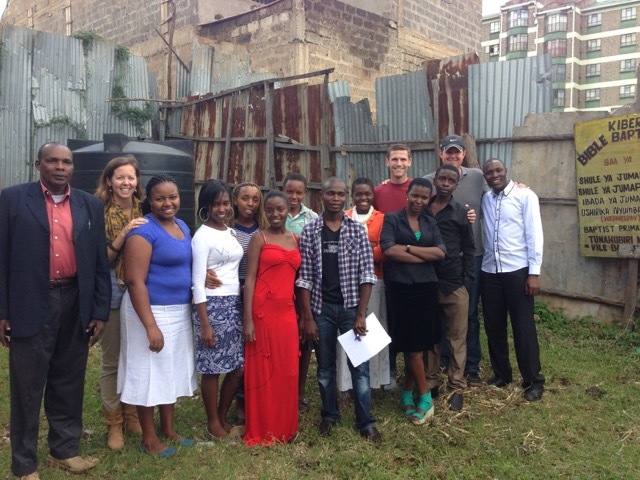 One of the most exciting things in the young life of Restoration City Church is going to happen this fall when we send a team of men and women to Kenya and Tanzania to serve alongside the incredible people of New Hope Initiative. After spending time there in late April, I could not be more excited for what God is doing through New Hope and I want you to be a part of it. I’m praying Matthew 9:37-38 over our congregation and this trip, “Then he said to his disciples, ‘The harvest is plentiful, but the laborers are few; therefore pray earnestly to the Lord of the harvest to send out laborers into his harvest.‘” The work in Nairobi and Arusha is plentiful. God is raising up laborers but we need more. We need more people willing to spend 10 days serving in East Africa. We need more people to spend 10 months and we need even more to spend 10 years. But it all starts with a simple willingness to go. I don’t know anyone else going. Don’t let that stop you; in fact, that should be a reason to go! You’ll end up meeting a bunch of new people and forming deep friendships. Nothing bonds people like serving together. So, if you’re new to the church and looking for a way to meet people, this is the best possible opportunity. I won’t be able to raise the money. You might not be able to but God can. He owns the cattle on a thousand hills. (Ps. 50:10) The great missionary Hudson Taylor was fond of saying, “God’s work done in God’s way will never lack God’s supply.” Seeing Him provide for your trip might be one of the most faith building experiences of your life. I don’t have anything to offer. Heresy! Ephesians 2:10 deals with that, “For we are his workmanship, created in Christ Jesus for good works, which God prepared beforehand, that we should walk in them.” The Spirit of God is alive in you if you’re a follower of Jesus. He’s prepared work for you to do. He’ll give you everything you need to do what He’s called you to do. If you want to go, you have something to offer. If you want more information on the trip or are ready to apply, click here. God’s doing great things in East Africa. Don’t miss a chance to be a part of His work in a way that will have a huge impact on your life.